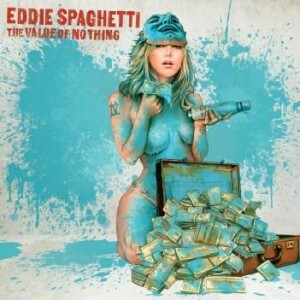 JP's Music Blog: CD Review: Supersuckers Leader Goes For "The Value Of Nothing"
CD Review: Supersuckers Leader Goes For "The Value Of Nothing"
Eddie Spaghetti, lead singer/bassist for punk/rock/country band Supersuckers, is preparing to release his second solo album, “The Value of Nothing” on June 18 through Bloodshot Records. The Supersuckers were a band that always had fun with their music and Spaghetti continues that type of humor on some of his latest music. Eddie Spaghetti has half a dozen shows scheduled along the west coast. For more information on his new album, please visit www.bloodshotrecords.com/artist/eddie-spaghetti.